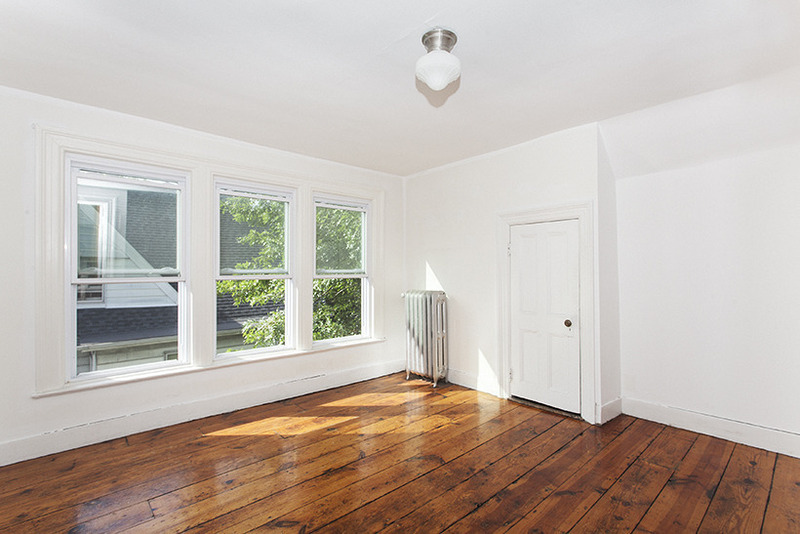 While we’re used too seeing renovated houses with gorgeous details and top-of-the-line finishes, it’s not as often we see one that’s modern and fresh, but also feels like a well-loved home. 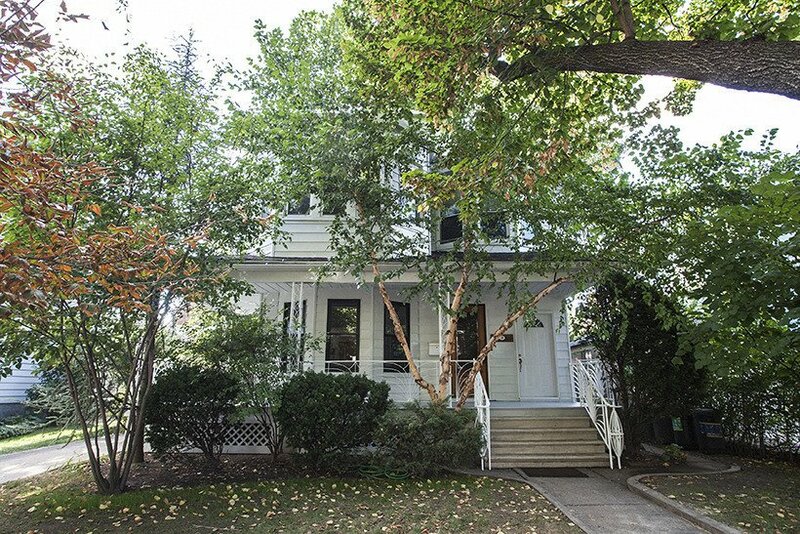 The 1902 Victorian at 210 Stratford Road is that rare house. 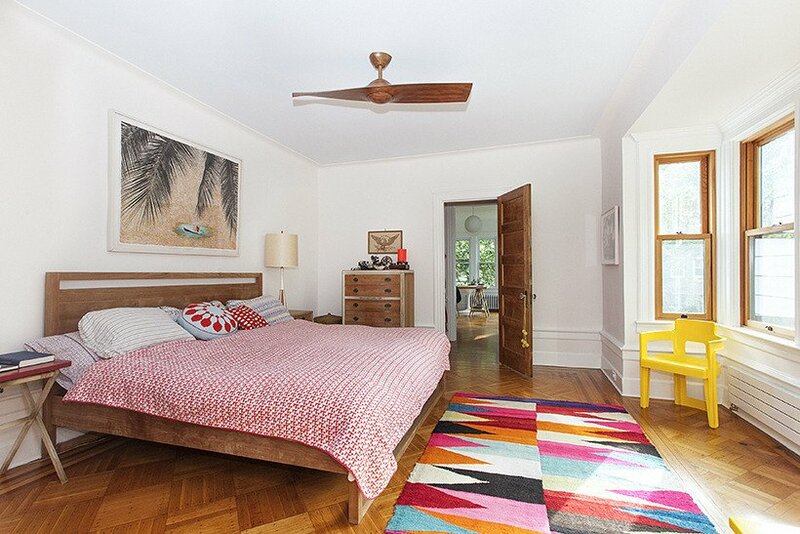 According to the listing (h/t Brownstoner), it was “lovingly restored and renovated by two artists,” which explains the perfect blend of cozy and cool evident on every floor of this two-family, three-story Ditmas Park home on the market for $2.35 million. 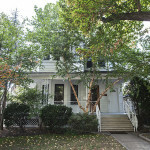 Though the home has original details like inlaid, bordered parquet floors, original fireplace mantles, high ceilings and stained glass, modern design elements are everywhere, and high-end comforts like a zoned, ductless central A/C/heat pump system, Runtal radiators, high performance Loewen douglas fir windows and a home security system keep the comfort factor high. 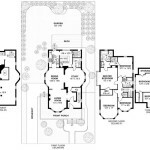 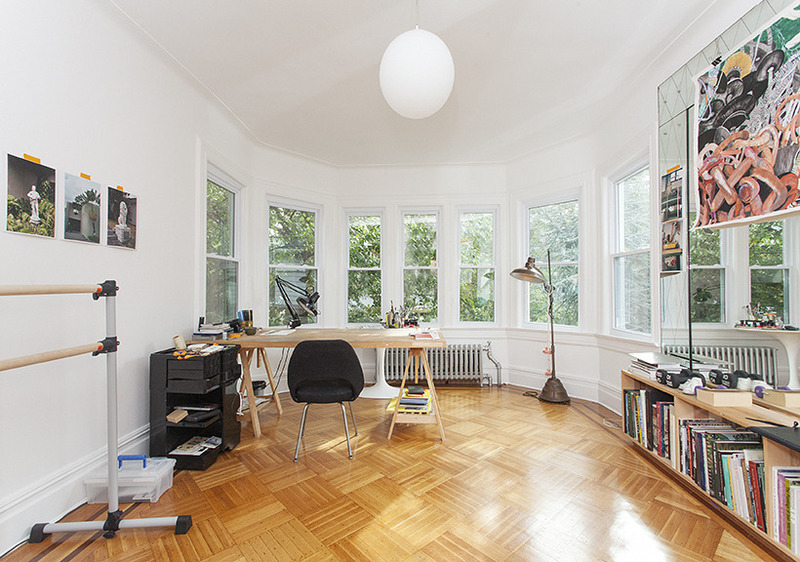 The sellers have thoughtfully provided an alternative floor plan for anyone who wants to (easily) convert the 2,775 square-foot home back to its original one-family status and add a bedroom to the already-existing seven. 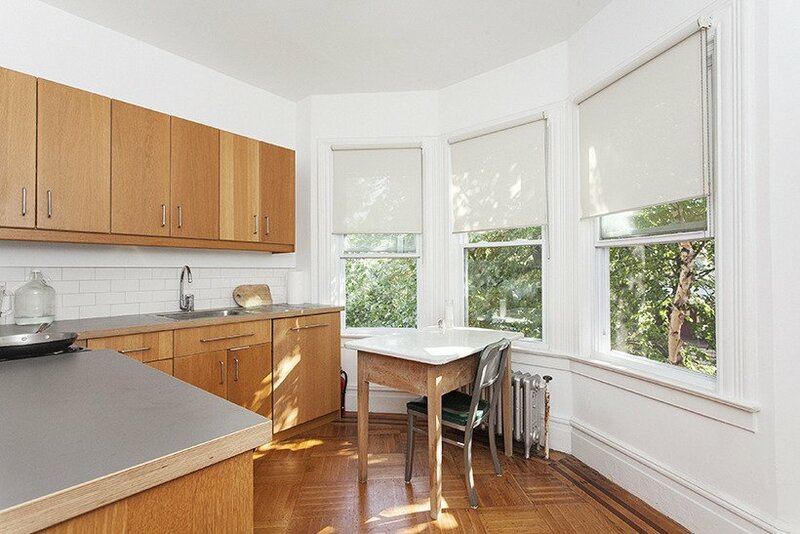 On the ground floor, the modern kitchen has a BlueStar chef’s range and a Bosch dishwasher as well as southern and western exposures. 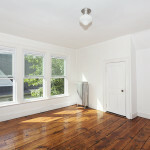 The living room’s triple bay window looks out onto the private front porch. 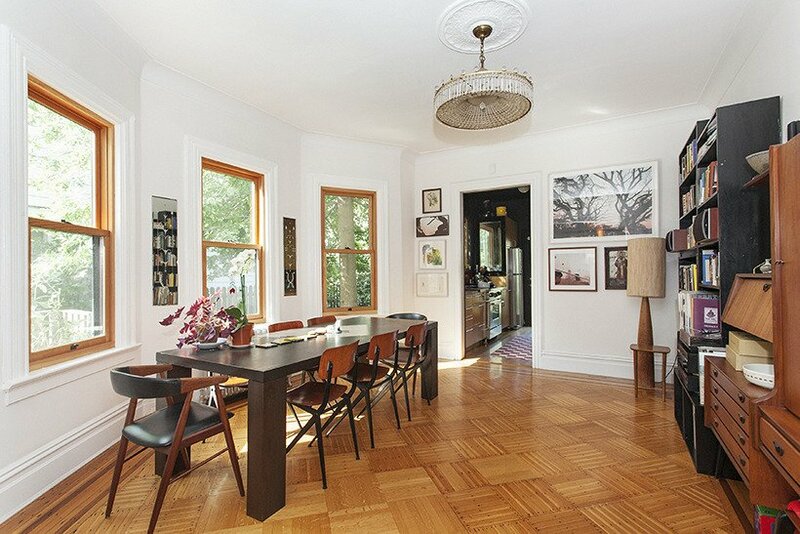 Off the kitchen, the sun-filled dining room boasts another row of four windows. 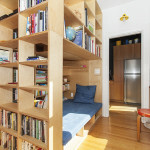 Also off the kitchen, “before the hidden staircase to the back of the house,” you’ll find this built-in daybed/bookshelf combo, adding up to a sweet afternoon napping/book nook. 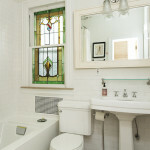 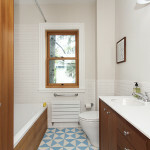 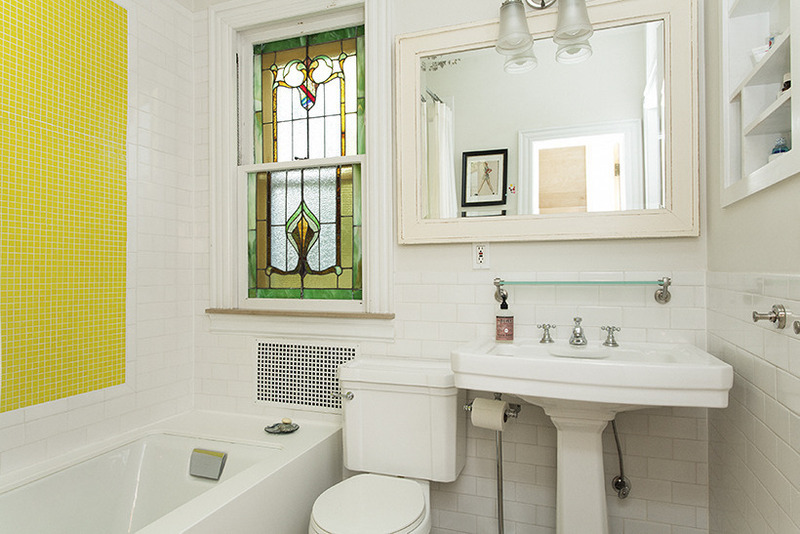 A renovated full bathroom with the original stained glass is on this floor, as well as another room currently being used as an office. 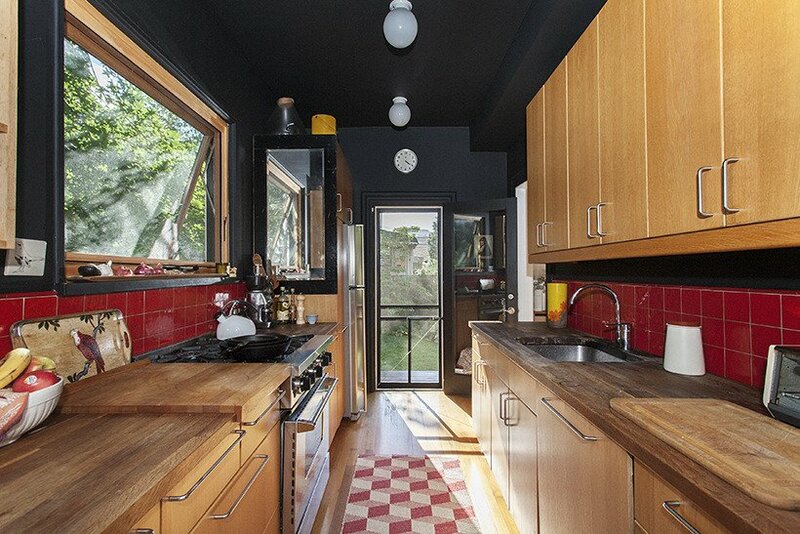 Among the many amazing things about his charming home is the back patio and yard, just off the kitchen. 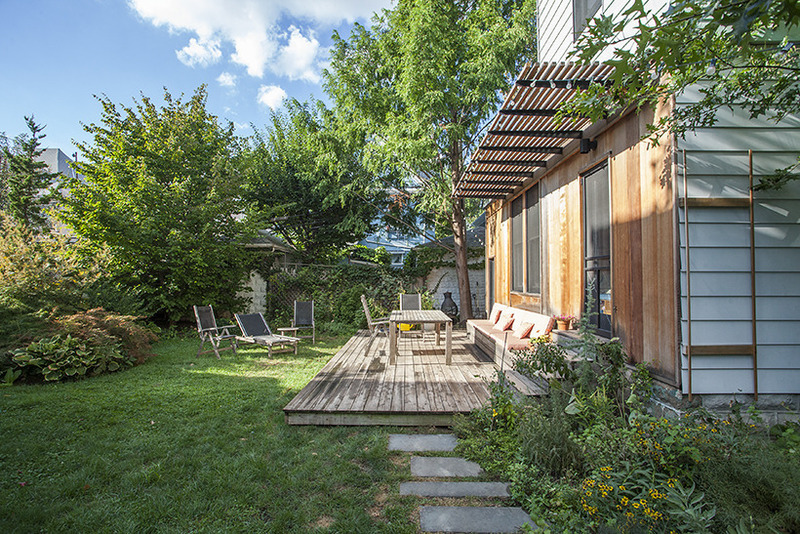 This gated private oasis is lined with trees and and flower gardens, and gets direct western light; the large deck has built-in seating. 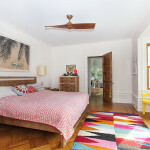 On the second floor are three bedrooms including this utterly tranquil master bedroom with four southern windows and an original curio closet. 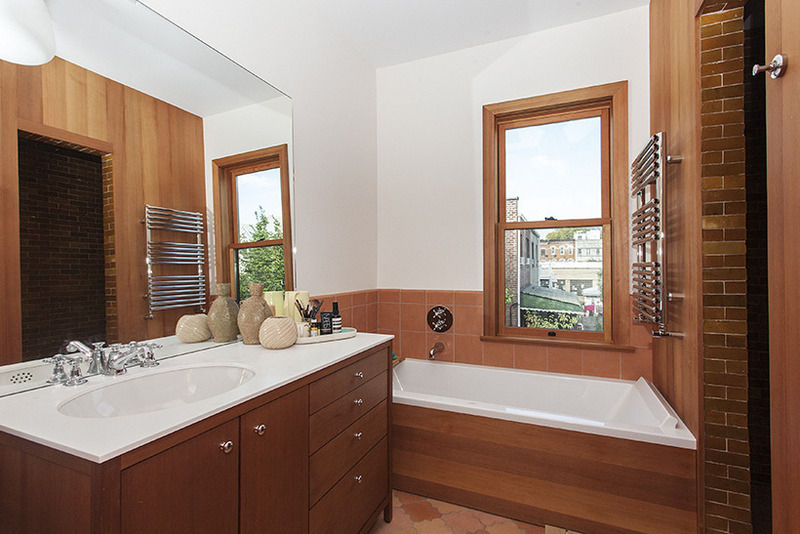 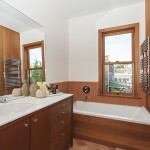 The master bath boasts a skylight, a soaking tub, southern views, a separate shower and a towel-warming rack. 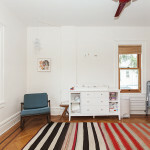 Also on this floor is another renovated bathroom with great storage space; a third light-filled room–with an impressive eight windows–is being used as a dreamy art studio. 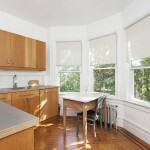 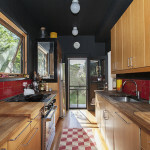 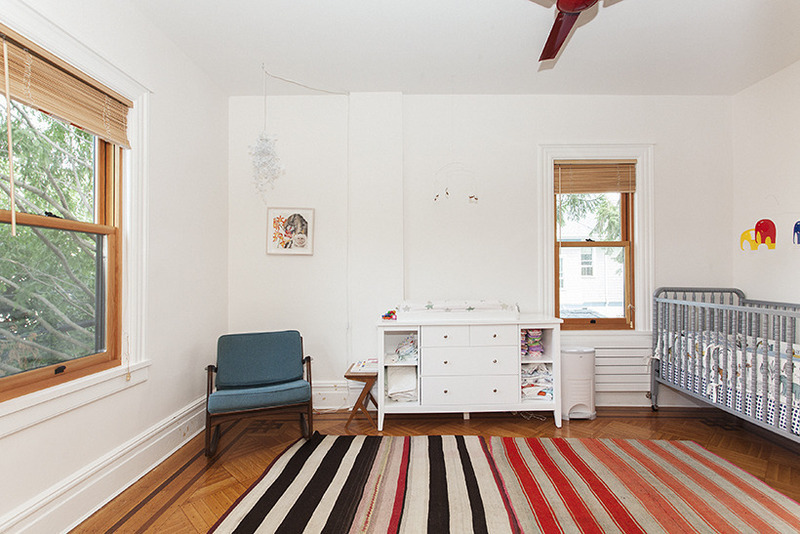 The rental unit kitchen–a lovely, sunny, eat-in affair–is on this floor as well. 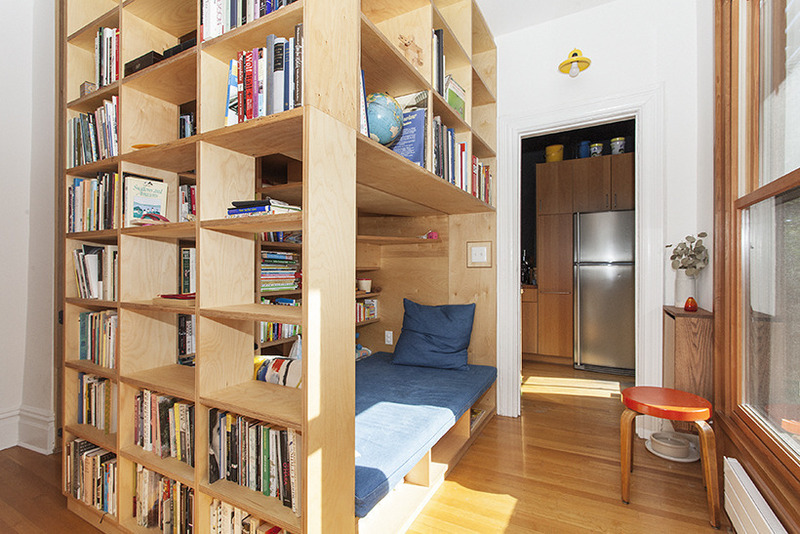 It could easily be converted to a fourth bedroom. On the top floor are three bedrooms and another full bathroom. 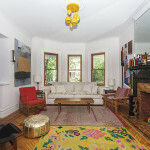 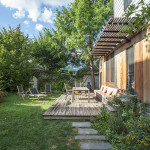 Situated in prime Ditmas Park, the home is just a block from the shops and markets, cafes, restaurants and bars on Cortelyou Road. 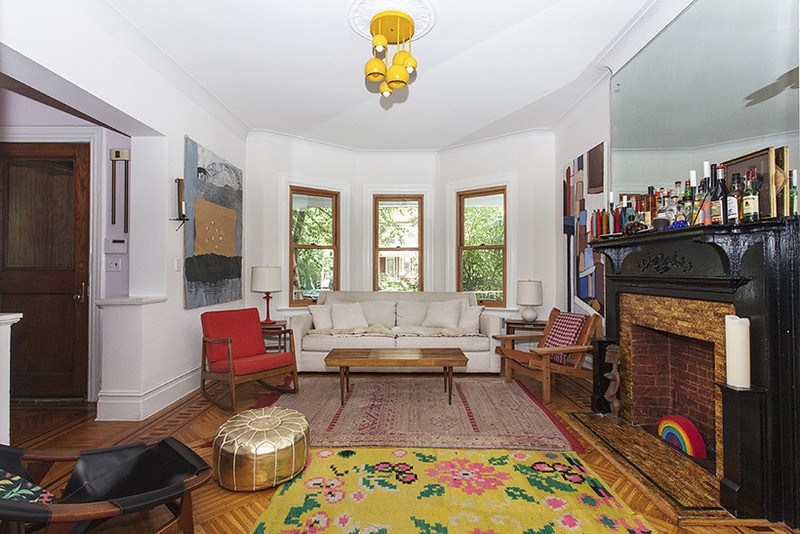 Two blocks away is Prospect Park–and it’s a short walk to the Q train. 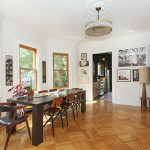 Images courtesy of Brooklyn Hearth Realty.